Each weekend we will try to have an article with all of the automotive news items that hit our inbox. We’ll include links so you can jump to each story that interests you quickly. To celebrate the Camaro’s 50th anniversary, H&H Classic Parts has created a detailed chart comparing a 1967 Camaro SS to a 2017 Camaro 1SS. The comparison graphic reveals the 2017 Camaro has increased in both weight and price. The newer model weighs 360 pounds more than its 1967 counterpart, and, when adjusted for inflation, the MSRP of the 2017 Camaro 1SS is nearly 50% more expensive than the 1967 Camaro SS 396 with the L78 engine package. Despite the additional weight, the 2017 Camaro proves itself in the performance comparison. It is considerably faster, more powerful, and handles much better than the ’67 model. 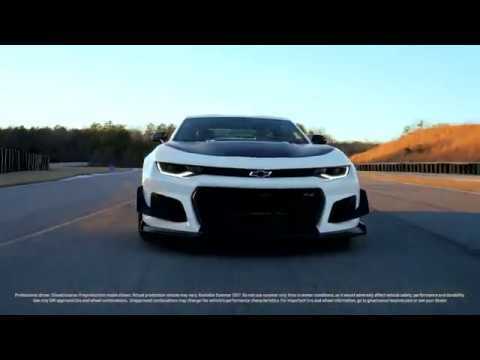 The 6.2-liter LT1 V8 produces 455 horsepower and 455 pound-feet of torque, and when paired with the 8-speed auto transmission, it can run the 1/4 mile in 12.3 seconds. That’s substantially faster than the 1967 model, which had less power, fewer gears, and a much harder time getting traction. “The ’67 Camaro had a single leaf on the rear axle, making it very prone to wheel hop. Chevy also placed both shocks on the same side of the axle, making launches impossible. Our estimated 1/4 mile time is a best-case scenario number,” says Smith. “The 2017 model, on the other hand, is relatively easy to launch. Not to mention, the suspension and tires are light years ahead of late 1960s technology,” explains Smith. Today, Jaguar Land Rover announced its commitment to addressing the skills gap that manufacturing is facing worldwide by appointing Noodle, Japanese guitarist and founding member of virtual band Gorillaz, as global ambassador to inspire young people to pursue education and careers in technology and engineering. Jaguar Land Rover, the UK’s leading investor in Research and Development, plans to use its entry into Formula E to promote the company’s efforts to shape the future by solving the technology innovation and skills gap challenges. Panasonic Jaguar Racing will spearhead a campaign that will help underline the important role Formula E will play in developing the next generation of electric vehicle technology. Noodle will help to highlight the opportunities this gives young people to get involved and be a part of the biggest change the car industry has ever seen – the electrication of vehicle powertrain technology. Noodle is the 21st Century Japanista and founding member of Gorillaz. The band has released five albums since 2000, selling in excess of 100 million records globally. What do you get when you engage 60 students, mentors, civic stakeholders and manufacturers? A recipe to inspire the next generation of manufacturers. That’s what Manufacturing Day is all about. More than 2,300 manufacturers from across the nation joined Toyota Bodine Aluminum by opening their doors to offer students insightful, onsite experiences and educate them about potential careers in manufacturing. “Seeing is believing! Often times a stigma exists among young people that manufacturing is a dark and dirty environment. Manufacturing Day is designed to offer students a positive perception of manufacturing and open their eyes to the highly technical environment that exists among the majority of manufacturers today,” said Wes Woods, general manager administration at Toyota Bodine. Manufacturing Day activities like the one at Toyota Bodine not only foster positive perceptions of industry, but they also provide a chance for students to see various manufacturing career options that are innovative and impactful. An estimated 2 million manufacturing jobs will go unfilled over the next decade due to a company’s inability to find talent with necessary technical skills. Since manufacturers make what matters, Toyota Bodine teamed up with two other local manufacturers, Elite Tool and Die and Menne Tool and Die; state and local chambers, educators, state leaders, and civic partners to host this year’s event. “The number one thing I hear from business owners across my district is a need for technically-educated employees. This partnership between Bodine and local employers, along with the State Technical College, solution that can be used statewide,” said Missouri Senator Jeanie Riddle. Following Manufacturing Day, participating students will compete in a video competition spearheaded by the Missouri Chamber of Commerce and Dream It Do It to highlight “What’s So Cool About Manufacturing?” Students will create videos featuring local manufacturing facilities. The contest is designed to help students get a first-hand look at the opportunities that manufacturing careers provide. Toyota Bodine Aluminum is committed to developing skills and career opportunities for students in the region through donations and programs such as the Advanced Manufacturing Technician (AMT) program and cooperative learning partnerships with colleges..
Jeremy Clarkson, James May and Richard Hammond have a new show, the Grand Tour, that will be on Amazon Prime starting on November 18th (if you don’t already have Amazon Prime, now may be the time to get it). The former Top Gear presenters will all be on the new show, but the BBC keeps the Stig.